Turns out you might not have to run marathons or hit the gym 5 days a week to have healthy blood pressure. In fact, a new study from Melbourne, Australia has revealed the easiest exercise to lower your blood pressure without breaking a sweat. Recent research shows that even sedentary couch potatoes who prefer sitting to sweating, can successfully bring their blood pressure into a safe range within 2-3 minutes. In the study, overweight participants with type-2 diabetes were asked to sit for 8 hours and interject their sitting with a slow 3-minute treadmill walk or perform a few half-squats, calf raises, or toning exercises every 30 minutes. Results showed a 10-point drop in the systolic blood pressure when they performed the walking intervals. Surprisingly, the toning exercises produced an even greater drop of 12-points. Also, if you are in the category of being middle-aged, out of shape and just starting out on a program to lower your blood pressure, you will be pleased to know that light exercise at 40% of aerobic maximum has been found to be more effective than moderate exercise at 60% of aerobic maximum. In addition, light exercise is also kinder and gentler on creaky joints. Mild exercise, just like vigorous exercise, opens up the peripheral blood vessels, decreasing the effort your heart needs to expand to push blood out to your body. The effect lasts for a little while after your exercise session. Over a long period of time, exercise lowers blood pressure by modifying the mechanisms that your kidneys use to control your fluid balance. Regular exercise also calms your nervous system and relaxes the muscles that constrict the blood vessels. Furthermore, it stimulates your body to produce greater quantities of blood vessel-dilating nitric oxide. Researchers recommend that incorporating gentle exercises into a long period of partaking in sedentary activity, such as working at a desk, attending classes or studying, can help reduce the health risks associated with being sedentary. Next, we have easy exercises specifically focused on blood pressure. These exercises are even easier than the ones used in the study. But as they’re specifically designed to lower blood pressure, they work even better. 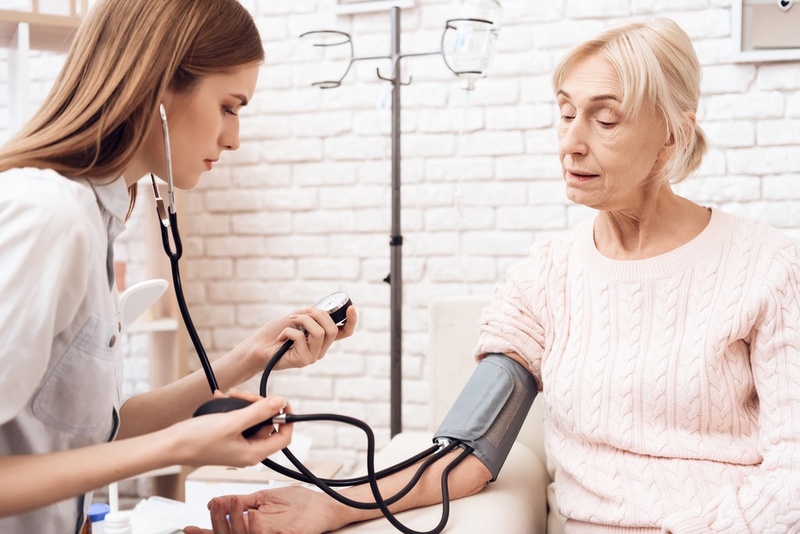 In fact, almost everyone doing these blood pressure exercises manages to bring their blood pressure below 120/80 within a week – sometimes within the very first day.